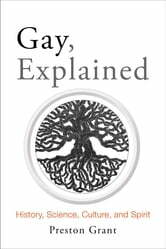 Written for gay and straight people alike, Gay, Explained leads the reader on a journey that even the most educated may find surprising. 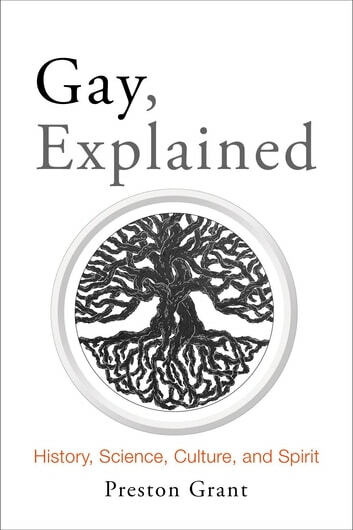 Told in a warm and personal style, Gay, Explained weaves together the individual story of a man born Mormon and gay with the wide ranging stories from some of humanity’s most fascinating people. It is a history that stretches back to the drawings on cave walls and the stories of the Pharaohs, infuses the religion and philosophies of Greece and Rome, shows up in the finest art of the Renaissance, and runs up to the headlines of today. Most of these stories predate modern LGBT labels, so these are tales of shamans, amazons, poets, minstrels, two spirits, and global adventurers. The book then explores the science of sexuality and gender where researchers find variations throughout the natural world, along with evidence of genetic and biological origins written across the human body from birth. Despite the recent political successes, questions remain. Why are some people gay? Is it just a sexual preference, or is there more going on? Why do some individuals vary so much around gender, and how is that related to sexuality? And if all of this is so natural, why does homophobia persist? The answers to these and other questions moves the larger discussion beyond mere facts and opinions and into the realm of meaning — exploring the purpose of gay lives in families, society, and the world. All of this together makes Gay, Explained an essential resource for parents, teens, friends, teachers, pastors, politicians, and just about everybody else.